Hi friends and welcome to another Tasty Tuesday! Thanks so much for stopping by. Add the eggs one a time, mixing well after each one. 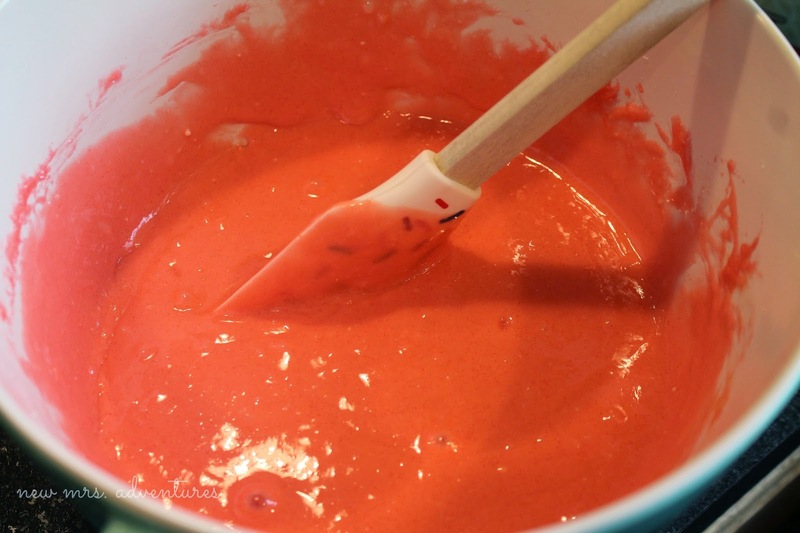 Then add 1/2 cup of the pureed strawberries, mixing that together as well. I made a strawberry cream cheese frosting for this particular cake, but I love getting creative with this one. 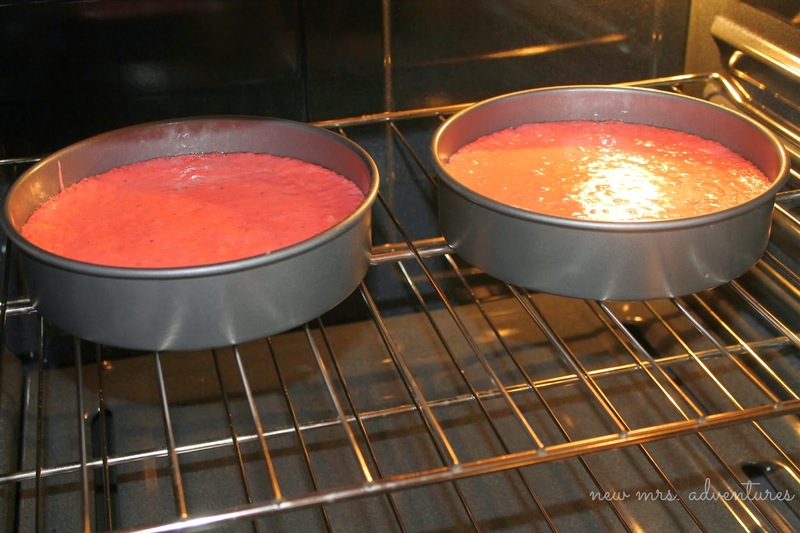 Think chocolate ganache on strawberry cake? Yes please. Now on to the party! A huge thank you to everyone who linked up last week. Here are a few favorites from last week's party! 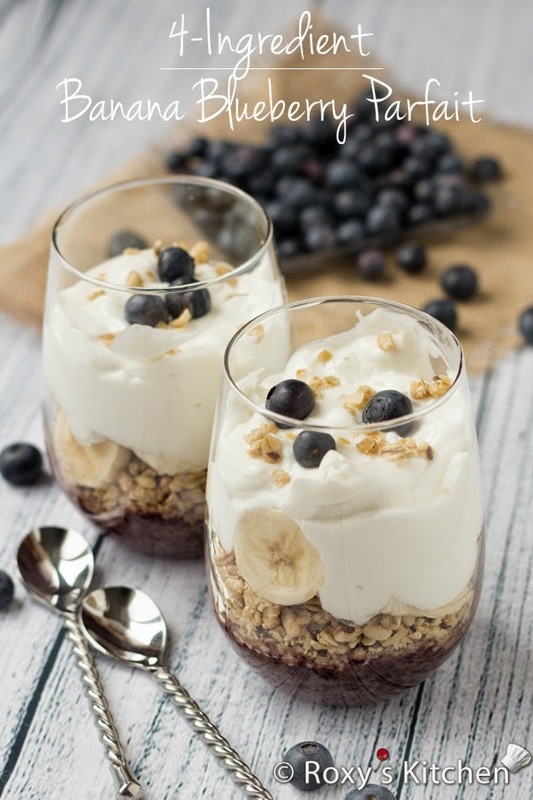 Thank you so much for featuring my Banana Blueberry Parfait <3 ! Thanks for linking up Roxy! 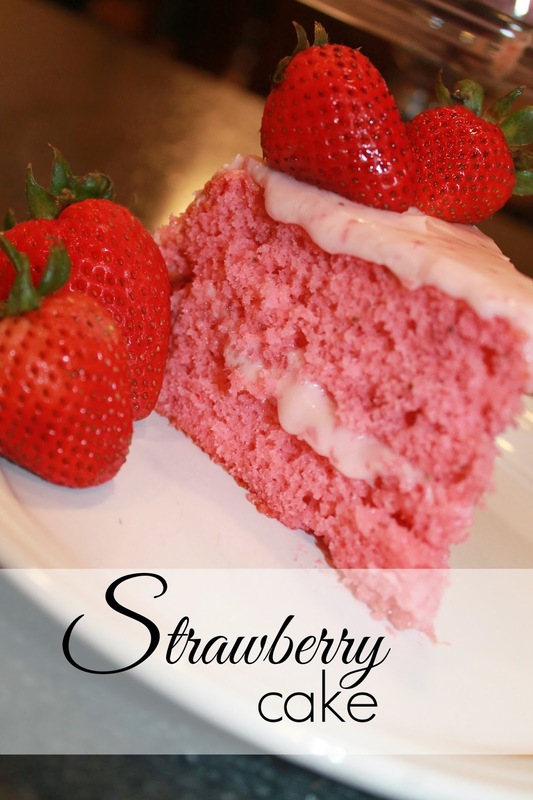 Mmmm...your Strawberry Cake looks de-lish! Thanks for the party and hope you have a beautiful day! Cathy-I'm so with you! We always grow some but never enough! Thanks for joining us!! Your strawberry cake looks delicious! 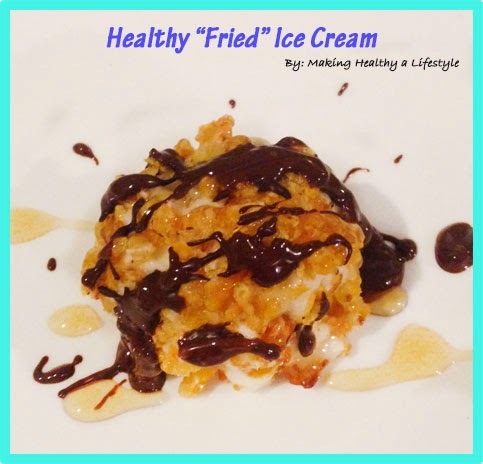 Thank you for hosting the link up party and for featuring my Healthy Fried Ice Cream recipe from last week!!! Thanks so much for linking it up! Dark Chocolate Cherry Ice Cream. I hope you have a great week! Sandi that sounds incredible! Thanks so much for linking up! Thanks for hosting. Please come by my party, #TheWeekendSocial starting Thursdays at 9PM EST and going all weekend long for an anything goes link up at KitchenDreaming.com! Ronda, thanks so much for stopping by! I will definitely be coming by Thursday to join up with your party, thanks for the invite!! Thanks for the invite Kimberly! Just linked up! 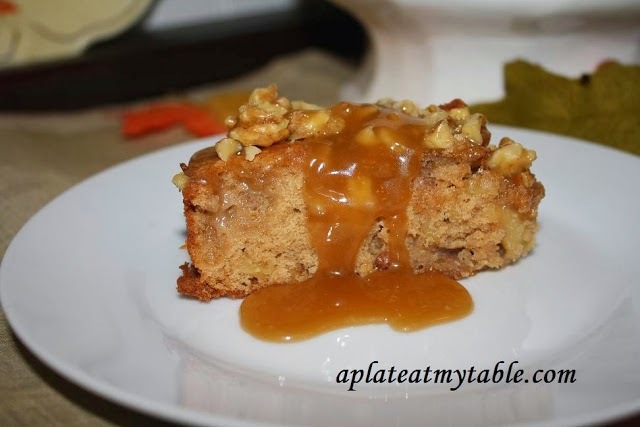 Thank you so much for featuring my apple cake. Thanks for hosting! Thanks for joining us Patti! Your Strawberry Cake looks fantastic! Thanks so much for the party and have a great week. Thanks so much for linking up your delicious recipes! Stephanie, what a delicious looking cake! This would be fun to make for summer gatherings! Thank you for hosting this fabulous party! Gloria, thanks so much for joining us! Hope you can come back next week! I started following your blog on Google Reader and didn't know until this morning that you hosted link parties. It looked like fun... but I have a confession: I wanted a new post to share. So I baked a recipe I've made a million times but was still tweaking a bit and then took photos so I could post. This time I am super happy with how it turned out. 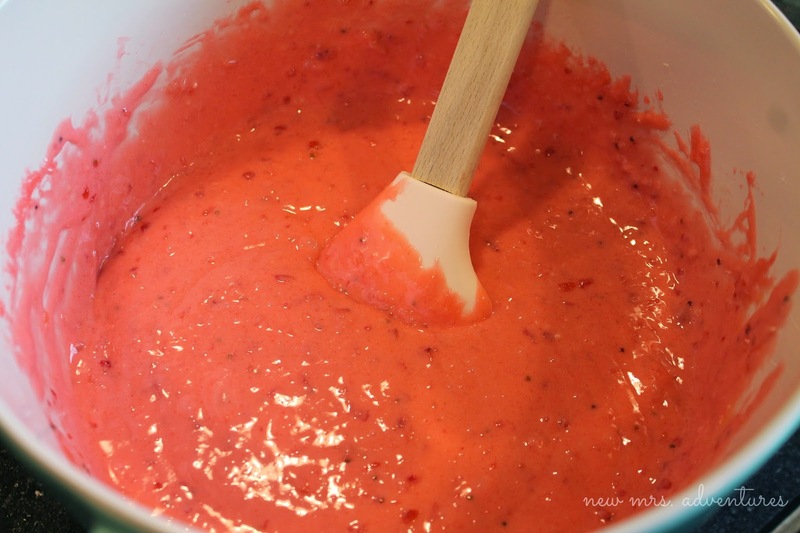 I've never made a new post for a link party before, but I was bored of sharing my smoothie. That was so... last week. Anyway, thanks for hosting and the inspiration to finish a recipe in progress. 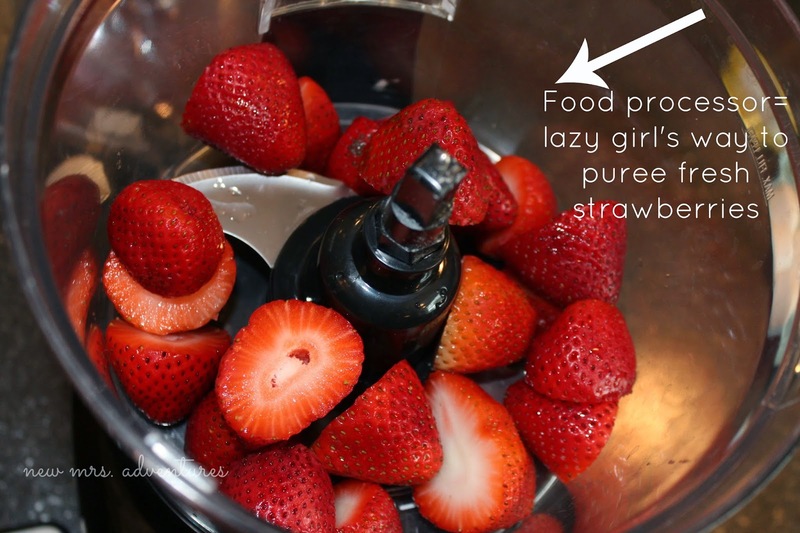 Delicious looking recipe and perfect timing for strawberry season. 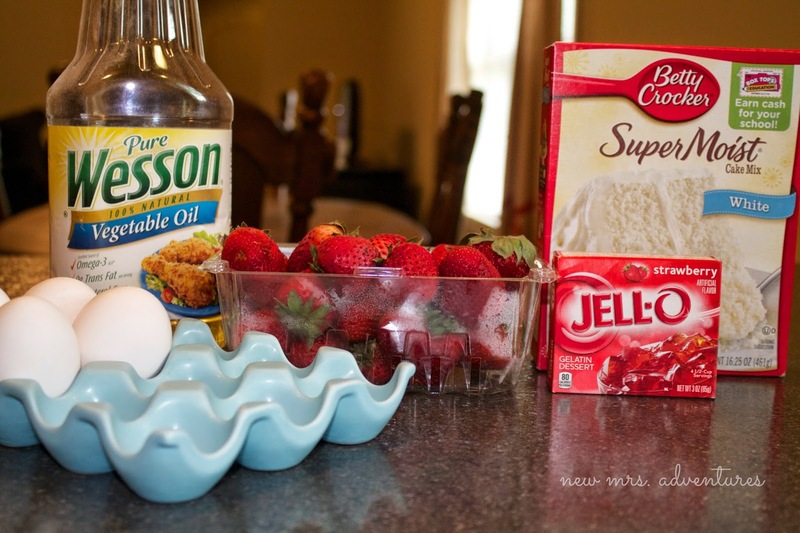 Love the jello for flavoring the cake mix. Thanks for hosting! Thanks so much Linda! I always think the jello in this cake really makes it more "vibrant" too! Thanks for joining us Leia! Thank you for inviting me to the party! I linked up a recipe and added your party to my party page. Looking forward to joining you every week. 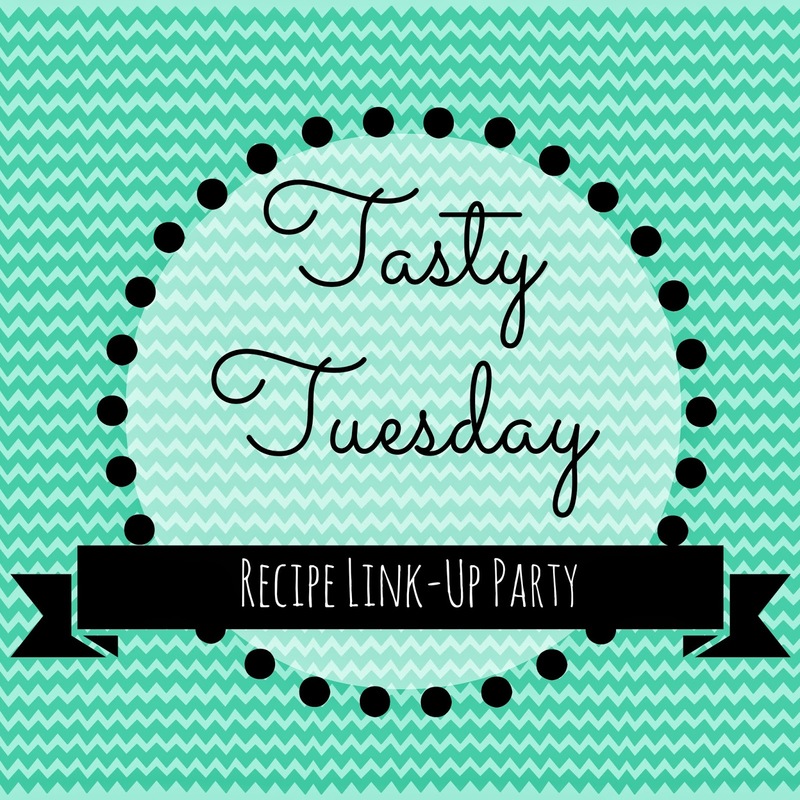 Thanks so much for linking up and adding this party to your page, I can't wait to see what you link up next week!! Thanks for the invite! That strawberry cake looks super yummy! Thanks for joining us Jaren! Thanks for linking up Kelley! Thank you for the invitation. Happy to link up! Thank you so much! Hope to see you next week! Thank you so much for the invite!! So happy to have found you - I'm loving that strawberry cake!!! Thanks so much for joining up Laura!! Thank you for stopping by and asking me to party - I've grabbed a badge and look forward to linking up with you regularly! Thank you so much I really appreciate it! Looking forward to more from you! Thanks for inviting me to your link up party. I've linked up and I'm also a new subscriber to your blog! Have a great day!! Thanks so much Laura, I'm a new follower of yours as well!! Hi! Just linked up for the first time! Thanks for inviting me! Love that this whole party is one big food fest! I will be pinning a lot! Thank you! You've got so much great things to choose from thanks to so many friends great recipes, so glad you're here!!! Thank you for this yummy party!! Thanks so much for joining up Crystelle! Mmmm! That strawberry cake sure looks sweet! I'll definitely have to make this sometime this summer! I think it will be a hit, especially with my daughter who loves everything pink! I linked up today, I shared a recipe for Ham and Broccoli Pot Pie! Looks amazing Alison! Thanks so much for joining us! Hi! I love your Strawberry cake. I need to try this recipe!! Thanks for showing interest in my recipe also. I've linked up and I am now currently following you on GTC, Instagram, FB, Twitter, Bloglovin and Pinterest! Thanks so much Kate! I'm a new follower of yours as well!! Except for Bloglovin, I couldn't get that button on your page to work? Just letting you know! Thanks again! Thanks for inviting me to link! As requested, I’m sharing my Strawberry Chocolate Party Balls with a festive party presentation for ice cream. Thanks Jillian it looks amazing! 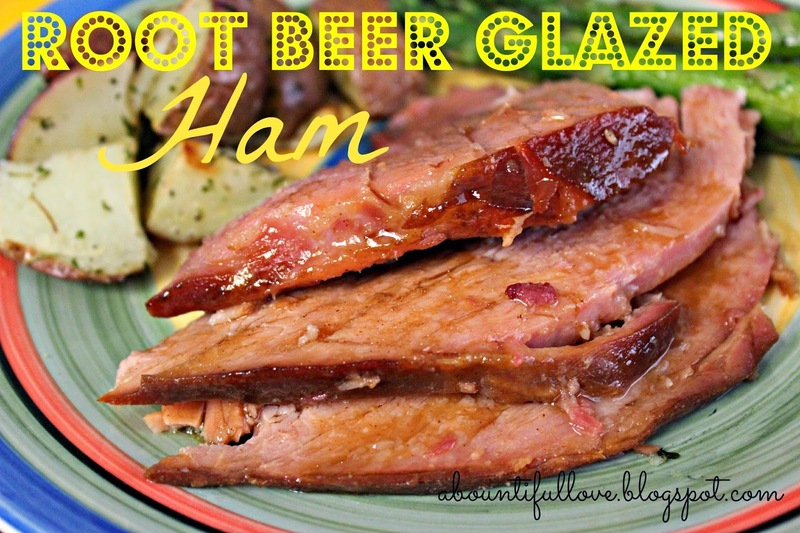 Thank you so much for featuring my Root bear glazed ham!! and for always taking the time to stop by.. I shared your blog to my fb page. God bless ..
Khit, thank you so much! I really appreciate it and look forward to getting to know you better!! Thanks for inviting me to link up! This party is lots of fun. Thanks for linking up Jenna! Thanks for the invite! I linked up the nuggets, as requested, and am following via Blog Lovin'! See you next week! Thanks so much Kate! I'm a new follower of yours as well!